The Sims Freeplay has been around for some time, as EA’s Sims game for mobile devices (Android, iOS). 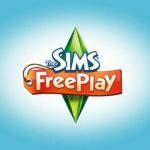 And while it’s also been some time since the game’s last been updated, we thought it would be a good idea to give you a fresh strategy guide for The Sims Freeplay. 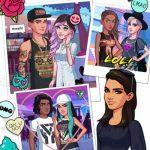 But first, what can you expect from the mobile version of the “world’s most popular life simulation game?” Basically, this is a “distilled” version of the Sims games for other platforms, as you can create your own Sims, build homes for them, and have them interact with each other the way real people do. They can wear different outfits, live in homes, care for pets, and grow from childhood to old age just like we do in the real world. In this strategy guide, we’ve decided to focus on the latter aspect of The Sims Freeplay – how characters evolve from infancy to becoming senior citizens. What do they do, what can you expect, and what’s in it for you when it comes to these stages in a Sim’s life? Read on, and we shall tell you more. There are a few things you need to have in place in order for two Sims to have babies. First, your home needs to have a cot, and both Sims need to be married so they can have a baby. Yes, The Sims Freeplay does tend to kick it old-school in this regard, but in terms of gameplay mechanics, it makes perfect sense. When taking care of babies, you should have them practice how to crawl and how to walk. You can also teach them some life skills, such as music by having them practice on a xylophone. In summation, you want babies to be closely watched over and supervised by adults. Compared to babies, toddlers are a bit more involved in the run of things in The Sims Freeplay. Adult Sims would still need to supervise them closely, though, and in terms of what toddlers can do, you can take them to the toddler playhouse for some amusement, and have them go to the beach with adults to collect seashells. Preteens act like a lot of real-world preteens do, and that would include spending a lot of the adults’ money, and often not making any money of their own. But in the game, they can earn some money through their hobbies, which may include figure skating, ballet, karate, and just like toddlers, sea shell collecting. They don’t need to be supervised much by adults, but there are some aspects of their lives where they need some assistance from grown-ups. Teens are just like preteens in the regard that they spend a whole lot of money, but they can make more money of their own. Just don’t expect it to be that much yet. The only aspect where they would need adult assistance is in driving, and their hobbies are more diverse than those of preteens. These run the gamut from cooking, figure skating, diving, arcade gaming, surfing, breakdancing, modeling, and even spell casting; out of all those hobbies, I think arcade gaming was the only one I was involved in back in the day. In short, teens in The Sims Freeplay have the most fun. Adults are the ones who go through the daily grind, putting food on the table and working jobs. But they can have hobbies of their own, like the aforementioned teen hobbies. They can also be involved in more “mature” hobbies, which include, but are not limited to fishing, (ghost) hunting, salsa dancing, and more. And they really do need to have a career – it may be something “fun” like acting or something more “serious” like teaching or real estate, just as long as they have a job to help them earn money. Last, but not the least, we have the seniors. They don’t work, as they are already presumably retired from their careers. So what do they do? Do they have any hobbies? Yes they do, and they happen to be the stereotypical “old person” hobbies – bird feeding, bingo, and quilting. These are new hobbies to keep your Sims busy, so that, at least, is something worth mentioning. Want more tips and tricks for The Sims Freeplay? We recommend you to check out our guide, which explains you how to earn more simoleons and lifestyle points in the game. 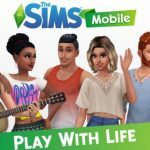 And if that’s not enough, we have yet another detailed strategy guide for The Sims Freeplay with more tips and tricks on how to increase your simoleon and lifestyle point counts.